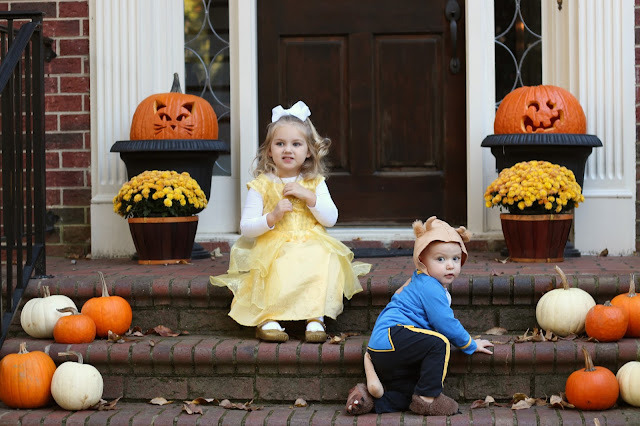 Are you sick of seeing my kids in their Halloween costumes yet?! 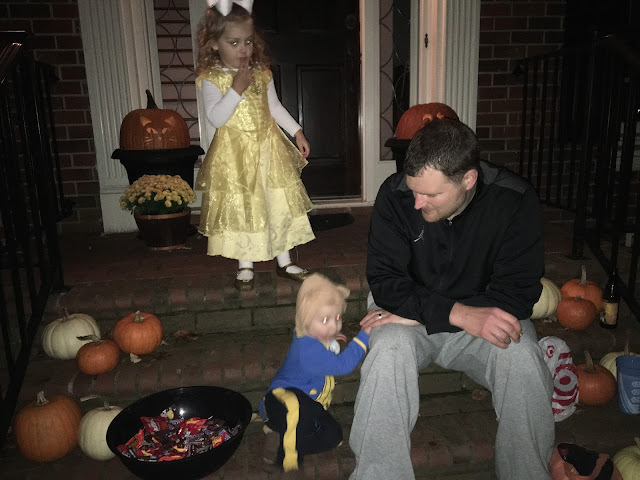 Our Halloween this year was lots of fun! In the morning, we stopped at the roadside "pumpkin patch" to get some more mums, since mine were totally dead! After naps, both kids put on their costumes yet again for a photo shoot before it got too dark! I know some people might be curious, so here are the sources for their costumes! Please note the Beast's slippers are totally worn down because they have been worn so many times at this point (plus, also they were like $10)! I heard that yesterday was the last day to get a Zoombie Frappuccino from Starbucks, so we had to go get one. Ella drank about 85% of it, even though it was supposed to be for me. After our Starbucks run and dinner, it was time to light up our jack-o-lanterns! And take a few more pictures, of course! I'm so mad this next one is blurry! Lucas was doing his famous "touchdown" pose! Because that's what beasts do...right?! Then it was time for trick or treating! 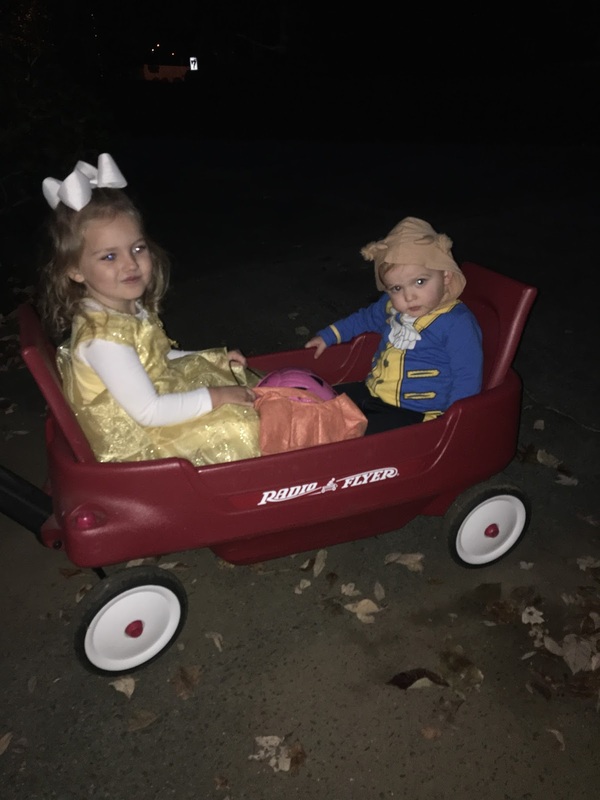 And when I say "trick or treating," I mean, Lucas goes on a wagon ride and Ella poses with all of our neighbors' inflatables. Lucas and Travis headed home a little early, while Ella and I finished going to the rest of the houses on our street. When we met the boys back at our house, they were pretty comfy on our front steps, handing out candy! This girl wanted to give 1 piece to each kid. ONE PIECE. What a stingy lady, ha! Lucas kept looking for trick or treaters even after we brought him inside! Ella's favorite things she got were Swedish Fish (seriously?!) and this Dr. Pepper! 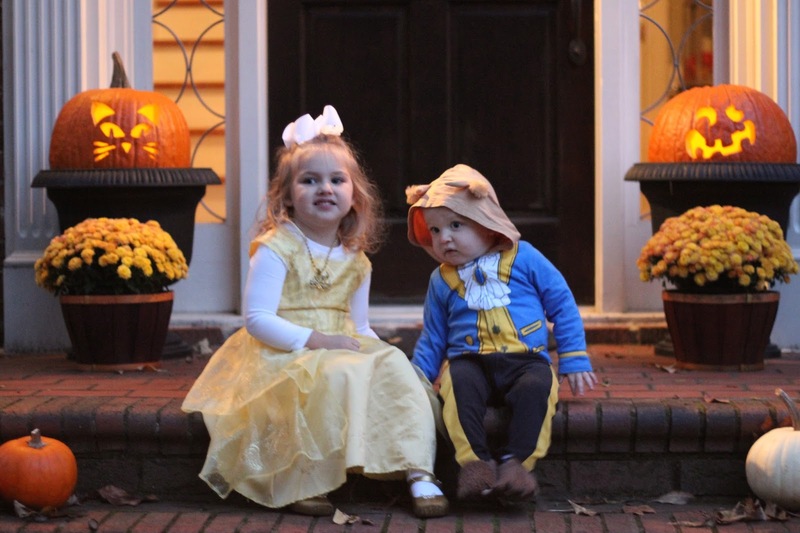 And now...the Belle and Beast costumes have been retired after approximately 2947294 wears. I hope next year's costumes get as much use! Go Ella!! I am stingy too! 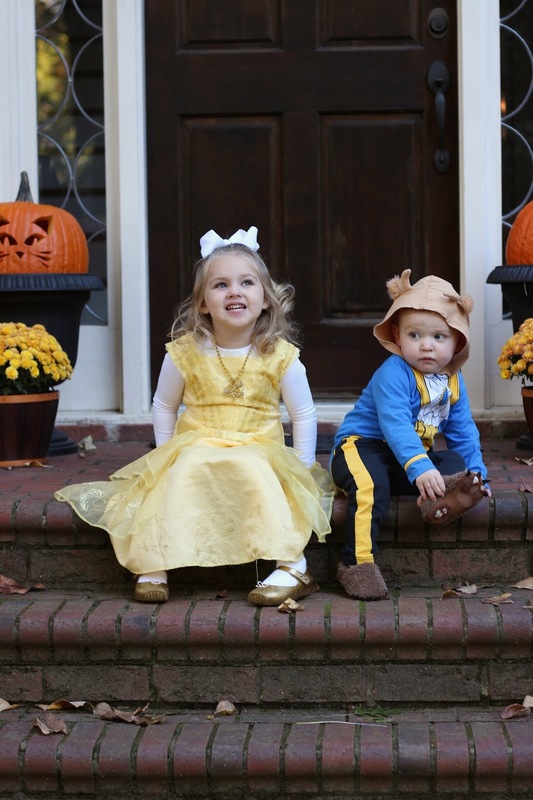 one piece per kid, unless they are super adorable. I learned the hard way after my first year in my neighborhood. 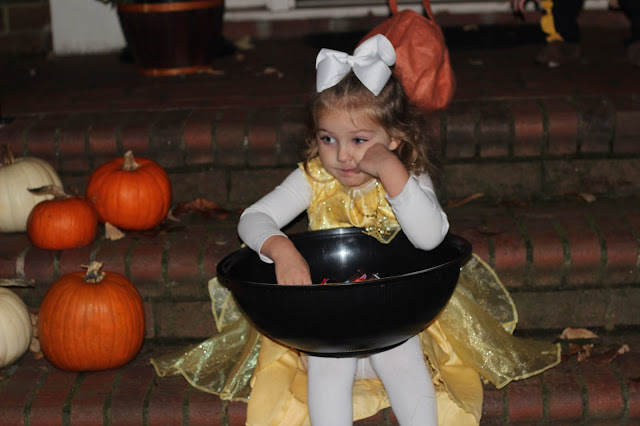 I ran out of candy before 7 pm! Gotta make it last!